Okay, now that we’ve switched back to regular coffee, it looks like we might actually make it to the end of week one! I am so thankful for all the resources I found this summer to prepare for the journey ahead. I don’t know how I would do any of this if it weren’t for organized people who blog and post to help people like me! 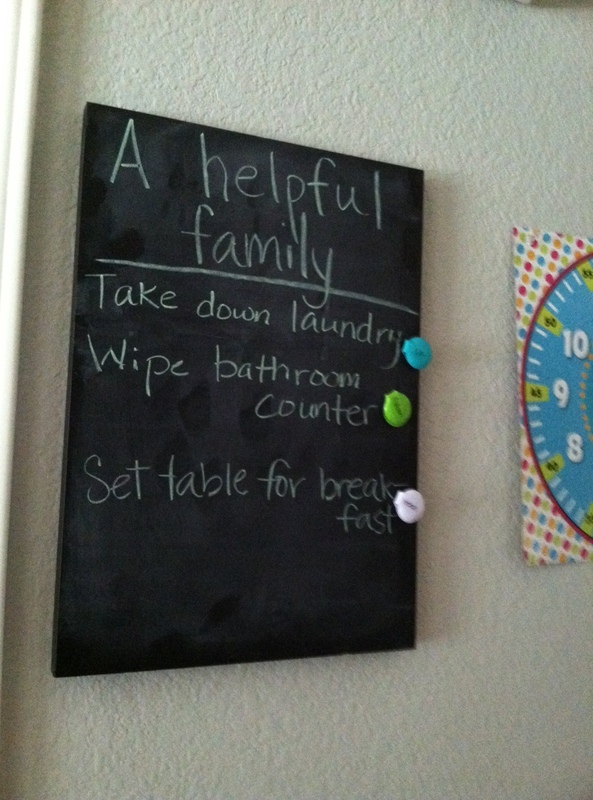 The blog, confessionsofahomeschooler, has been a life saver! 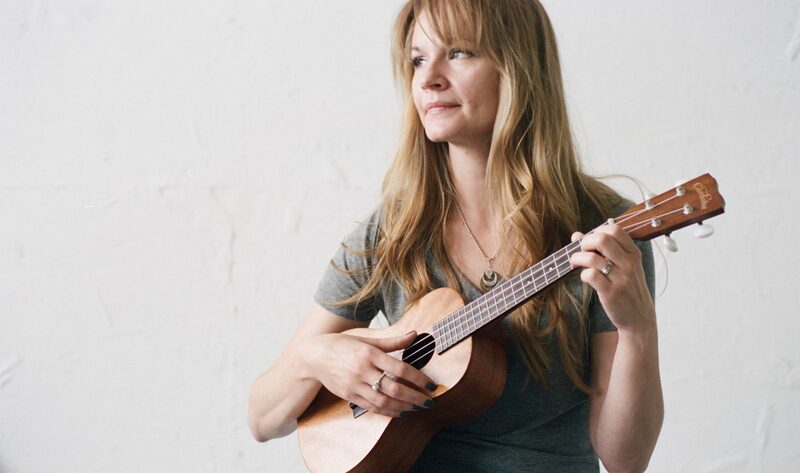 If you homeschool, or are thinking about it, or are just curious, you should check out her blog. It’s absolutely amazing. She has provided me with ideas of how to keep 3 kids and a baby busy and working and motivated, all while teaching them about Jesus, making sure dinner will be served, and the laundry will be washed. I think it really takes intentionality and resolve to keep to a schedule. The more structured I am, the more free I feel to engage in my children and the more time I have to listen to their hearts. If I know that dinner is taken care of, I’m not functioning at a hurried and worried pace. If I know there is a system in place for laundry, I know there is time set aside for it and I don’t have to sit in my own judgement all day until it gets done. I’m free to not worry about my own performance and I can listen to my kids and notice how they are feeling. So before you read on, this post is all about the logistics of our day. How we are organized, structured, and scheduled. Some people out there totally groove to this stuff. Me, not so much, although I do appreciate it! So if the mere reading of the word “logistics” makes you feel like I feel when I hear, “overpasses”, “loose teeth” and “anteaters”, ABORT!! Stop reading now! I’ve got magnets with each of the kids’ names on it so they don’t have to ask me what they are to do each morning. While the kids get started eating, I load the washing machine with the laundry that was carried down by one of the kids. If I do this every morning, I should only have one load of laundry to do a day…unless something messy and tragic happens. 🙂 I also at this point start something in the crockpot for dinner. I have found tons of great crockpot recipes that can be prepared over the weekend and stored in the freezer in freezer bags. That way in the morning all I do is literally dump the contents of the bag into the crockpot and turn it on. I try to stay on top of the dishes too at this point. When the kids run upstairs to start school, I quickly rinse off the dishes and have them ready to go in the dishwasher later. (sometimes, I can load them, but realistically it usually hasn’t been unloaded yet.) All this usually amounts to me taking my breakfast and cup of coffee upstairs to be gradually eaten when I get a chance. I could wake up earlier to resolve this problem, but let’s face it, I’d rather sleep. 8:00 (or close to it) We start school! First we do our bible study. This concept is amazing! I mentioned in an earlier post that it is supposed to be work boxes, but we just don’t have the space for all of that. So here was my solution. 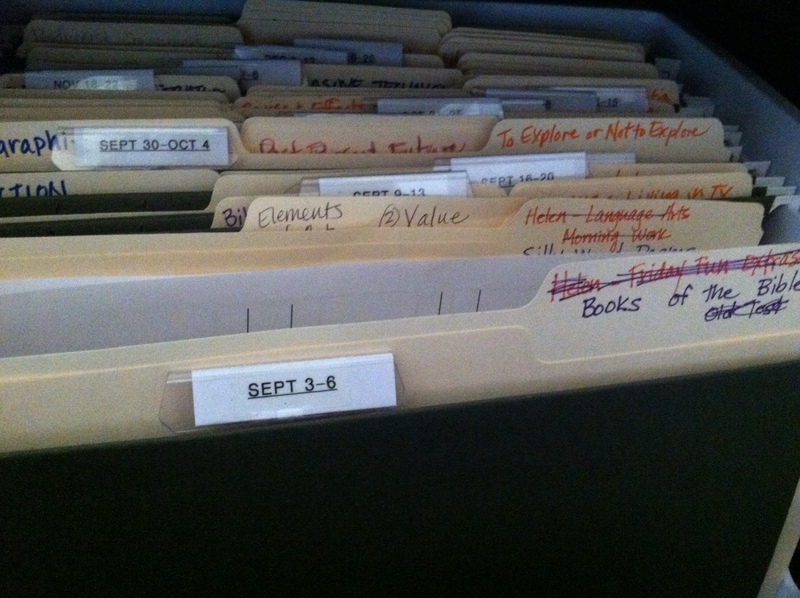 First, from an organizational stand point it starts with my unit filing system. I have a file box next to my desk. Each hanging file folder is labeled with the date of each week of school. (Through December, because I wanted to see how it worked first and give myself the freedom to try something completely new after the winter break). In each hanging folder is a file folder for each subject, each grade. I started by labeling units. For example poetry is a unit covered by both girls. As I gathered info about each TEK or unit to be covered, I simply wrote the info on an index card and dropped it in the file folder. After that step, I saw how concepts for each of the girls could be paired and studied at the same time. Then I put all the related index cards into a file folder and designated a week for us to cover it. Sometimes, if the unit looked like it would take longer than a week to cover, I just skipped that subject in the next hanging folder, knowing the previous week would carry over. I did all this until every week until Christmas break was planned. 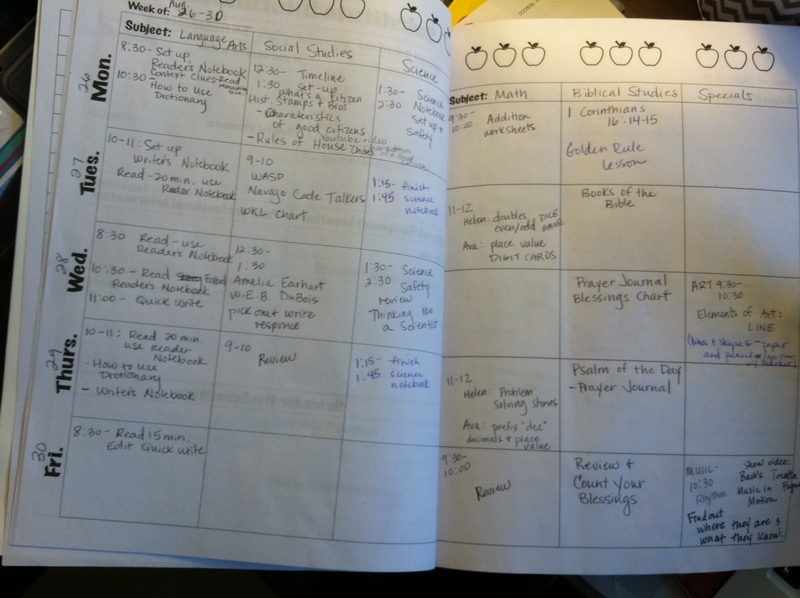 Over the summer I researched different lesson plans for the units and put those ideas in the folders as well. Before the beginning of each week, I simply pull out the dated hanging folder and look through each folder with its index cards. The index card tells me what materials I need to have on hand, what materials I need to print out etc. I like it because it gives me a snapshot of the week and then I have the freedom to be creative at this point and shift focus depending on where the girls are struggling. I fill the subject folders with printouts and needed materials so that everything I need for that week is in the hanging folder. If, for example, I find a video online about science safety, I write on an index card where and how to find it and stick it in the science folder. I also have a Lesson Plan Book I bought for a $1 in the Target bargain bin. This helps me to divide the stuff in each folder into days of the week and I just write it in the box for each day so I know how to pack the info into the week. Okay, onto the work-folders. Each girl has a 3-ring binder that contains plastic 2-pocket folders. On the front of each folder are 2 velcro squares. One square holds a little laminated number, starting with number 1. I fill that folder with an activity or worksheet. 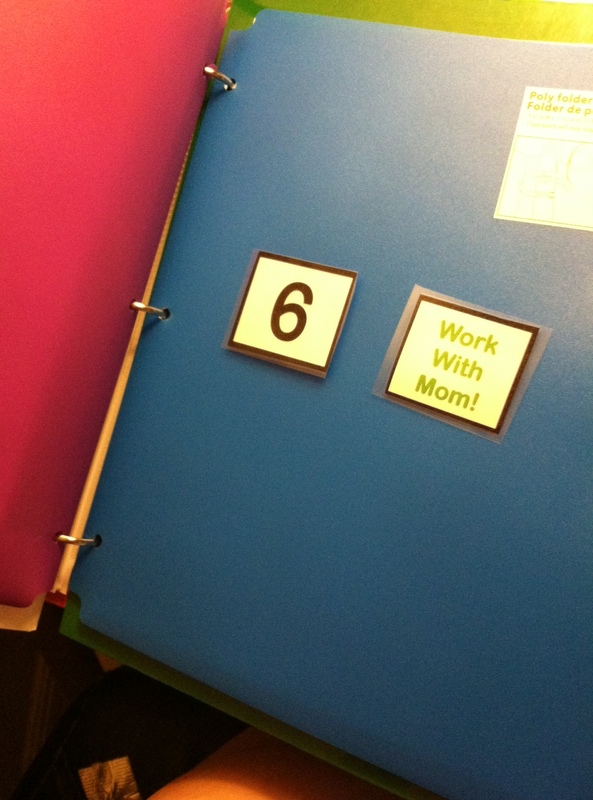 If directions are too complex and can’t be explained on a printed out sheet, then the second velcro square on the front of the folder has a “Work With Mom!” square attached. The girls then know that they need to ask me for help, or that the activity requires my instruction or a video or something. The girls then work through their folders the rest of the day! When they complete a folder, they remove the number and stick it to their blank chart, showing they can move on. This chart also helps me have a visual way to see how much progress they have made. You will see that I put snack time and lunch and recess in between where their numbers go. This motivates them to finish folder 1 because then it’s snack time! I love it, because each day looks a little different and without being unstructured, I have flexibility to do what fits their workload and our schedule the best. Maybe tomorrow, they will work through 3 folders before snack, or maybe just one! 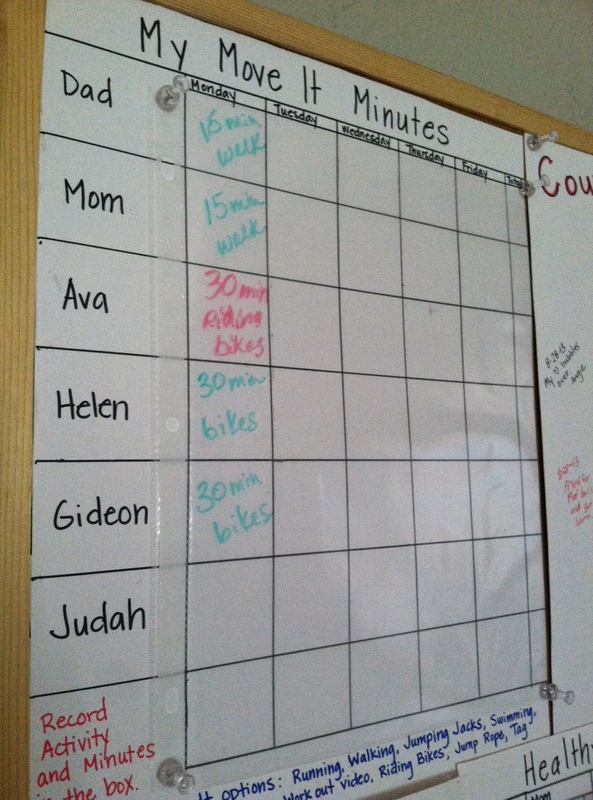 The girls also don’t ask when snack or lunch is, because it’s on their chart at their desks. And, they know that how hard they work makes a difference in when they get those things. I also have little squares for group activities, like Art or Music or Science Lab. So when they see Art on the schedule, they know that special is happening today. I also have a “Mom loves you!” square. When they get to that square on the chart, they know they are done for the day. I just move the square from day to day depending on how many folders and activities we need to get through. So far, we have finished each day around 2 or 2:30. When we have lunch, I switch out the laundry. When they are working on their folders, I am planning the next day, or writing, or studying my own bible study. This week during recess, the kids have been riding bikes while I walk with the stroller. We go to the park and they play while I keep walking in circles to get my exercise in. 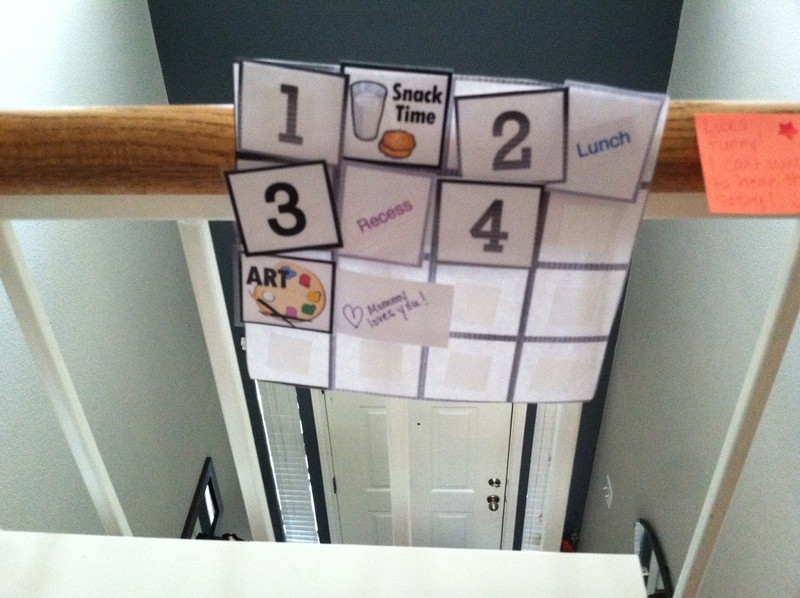 We time ourselves and put it on our “Move-it Minutes” chart. After school is out, the kids are happy to finally play or watch tv. I go through their folders at this time and grade all their daily work and fill in the folders for the next day. I adjust the charts and put it all back on their desks. Done! As we have progressed through this week, the process has been a little easier. It’s nice to see all those printouts disappear as the week goes on. I can visually see that we are learning and making progress and reaching our goals. The idea is that on Friday we review and test what we have learned. Last night, I wrote tests for each subject, and Friday we will just spend a little bit of the morning reviewing our bible studies and taking our tests. Hopefully, the tests will be a good and simple way for me to track their progress and also keep a record of what we have learned. If ever I need to prove to someone when we enter back into the school system that we indeed did learn something, I’ve got something to hand them. Whew- that was a lot of explanation on the logistics of how we get through the day! Hopefully, it will be beneficial the next time I mention “binder work” or something. Y’all will have a clue as to what in the world I am talking about! Perhaps if organization gives you the tingles like chocolate or a pedicure gives me, than maybe I’ve made your day! That’s a great system! Can’t wait to hear about the motivations!